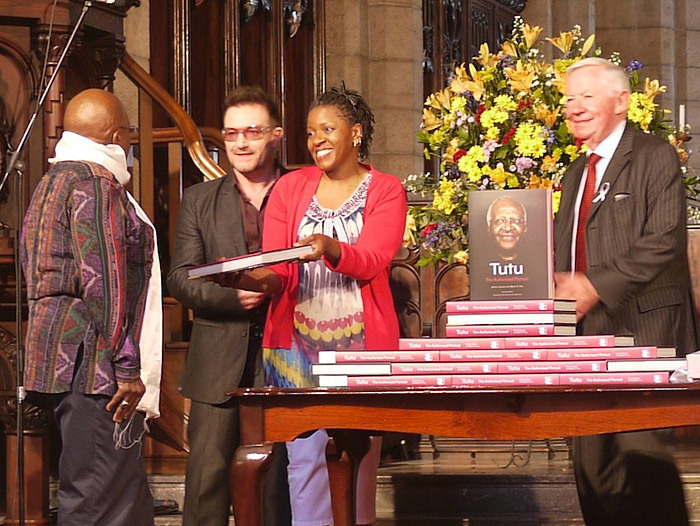 My wonderful agency passed along some photographs from Desmond Tutu's 80th birthday and the release of his autobiography that occurred last week in Capetown, South Africa at a church that was once at the center of resistance against the apartheid government. 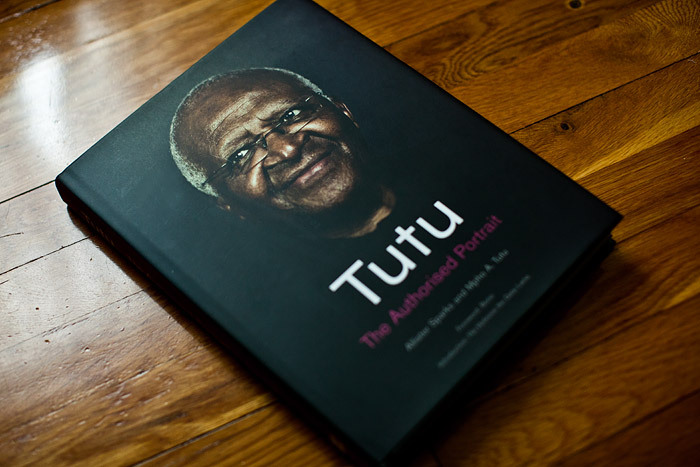 The publishers chose an image I shot of Tutu a few years ago for the cover. I don't see photo shoots as opportunities as much as they are experiences, brief moments to be lived through and hopefully changed from in some way or another. What I remember about photographing Desmond Tutu at the tail end of a two day conference was that he had a plane to catch and I had to push a little to even have him sit for me. He was in an enormous hurry and stood there with this beatific smile on his face as he yelled at me to finish up and get a move on so he could get to the airport. There wasn't any malice in his voice and he patted me on the back and gave me that same smile as he rushed out of the tiny, makeshift studio I had spent hours crafting. As far as I know, he caught his plane, and I learned that it's always worth that extra, sometimes uncomfortable effort to approach a subject, even if their time is brief. 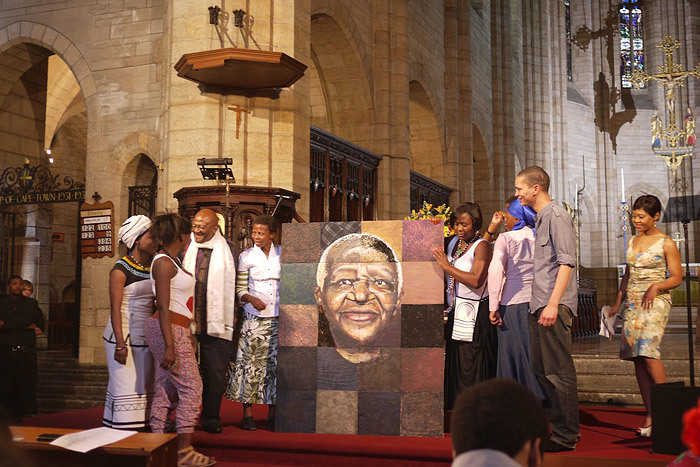 While it was enormously gratifying to get a copy of his autobiography with one of those photographs selected as the cover image, the more exciting thing was the enormous fresco of Reverend Tutu painted by local artists based on the image, that will hang on the wall in one of his charities in South Africa. The title of this post is in reference to the video below, which shows Rev. Tutu getting his groove on during his birthday celebration. The video also shows him checking out the painting (apparently he thought the artist didn't paint his nose large enough) and Bono from U2 singing to him.